SENSOR TECHNOLOGY Manufacturing Expansion to Nova Scotia | Sensor Technology Ltd. SENSOR TECHNOLOGY Manufacturing Expansion to Nova Scotia | Sensor Technology Ltd.
Sensor Technology Ltd. is excited to announce its manufacturing expansion to Nova Scotia at the Centre for Ocean Ventures & Entrepreneurship (COVE), a collaborative facility for applied innovation in the ocean sector. “This opportunity has come at the perfect time for Sensor Technology as we are in a significant growth stage as well as developing a new products and markets for our custom solutions. We are really excited to be a part of the collaborative community at COVE”, says Niru Somayajula, President and CEO of Sensor Technology Ltd.
Sensor Technology Ltd., has been expanding its main manufacturing plant in Collingwood, Ontario due to increased demand and technology advances and there has been a need to add a second location. 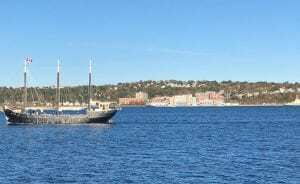 Nova Scotia Business Inc., the business development agency for Nova Scotia, worked with Sensor Technology Ltd. to help facilitate its expansion to COVE on the Dartmouth waterfront. As this is Sensor Technology Ltd. 35 Year Anniversary, this initiative begins an exciting new growth phase for Sensor Technology Ltd. In addition, Sensor Technology Ltd. is putting together an Acoustics Collective Thought Leadership Group with the members of Atlantic Canada’s Ocean Tech community. The collective will help further COVE’s mission for collaborative innovation specific to acoustics players. ABOUT THE COMPANY: Sensor Technology Ltd. provides custom, innovative Hydrophones and Sensors to a wide range of industries, including Marine and Fisheries, Defense and Oil & Gas.